The combination of commercial and residential units in a condominium project presents unique challenges and risks that need to be carefully considered and addressed in the condominium Declaration of Conditions, Covenants and Restrictions (CC&Rs). Without studied consideration and regulation, issues such as the type of business that can be conducted in the commercial unit, hours of operation, noise, and signage, can impact the quality of life of the residential owners and the value of their investment, and the ability of the commercial owner to operate his/her business successfully. In general, condominium CC&Rs provide the framework for the operation and regulation of condominium projects. CC&Rs contain rules regarding financial management, maintenance responsibility, alteration approval procedures, insurance, decision-making, and voting, and also describe compliance and enforcement procedures. In addition, the CC&Rs include rules regarding what constitutes a nuisance, permitted pets, and permitted and prohibited uses of particular areas of the property. The following are some of the major issues that should be addressed in CC&Rs for mixed-use projects. 1. Permitted Commercial Use: The type of business being operated in the commercial unit can affect both the enjoyment and the value of the residences. To keep the residences desirable, it is important to identify commercial uses that, although permitted by zoning laws, will significantly interfere with quality of life in the building. Careful identification of permitted commercial uses also ensures that both residential and commercial buyers know what they are buying. Unpleasant surprises after purchase can lead to disgruntled buyers who sue their sellers and real estate professions, and to conflict between residential and commercial owners with in the building. 2. Noise: Traditionally, late nighttime noise and traffic has been the primary area of conflict between residential and commercial owners in condominium projects. But more and more people now work at home at least part time, and daytime noise has also become a problem. It can be useful to set maximum decibel levels in the CC&Rs, and to require that commercial owners install noise transmission barriers. 3. Hours of Operation: Depending on the type of commercial use, nighttime and even early morning operation can cause considerable disruption to life within the building. Specifying the hours of operation is one of the most effective ways to avoid conflict within the condominium project, and post-purchase dissatisfaction among both commercial and residential buyers. 4. Signage & Awnings: On-building identification and advertising significantly affects the look of the building and the image the building conveys. It is therefore critical for the CC&Rs to describe permitted signage, e.g., the number and type of signs, where the signs can be located, and the size, color and graphics of any signs or awning. 5. Nuisance: Noise and traffic are not the only nuisances that need to be considered in drafting CC&Rs. Other potential nuisances include excessive garbage, insects and vermin, smoke, odor, vibration and light. Depending on the type of commercial uses permitted by local zoning laws and by the CC&RS, some or all of these, as well and other potential problems, should be addressed in the condominium documents. 6. Access: Typically, the residential units have their own separate entrance. The CC&Rs should describe any restrictions on the right of users of the commercial unit to access, for example, the front steps of the residential units, or a back yard or patio. 7. Maintenance: Often, certain elements of the building, such as hallways, stairways, or mechanical systems, serve only the residential units or only the commercial units. Ideally, the CC&Rs should carefully identify the elements serving only one type of unit, and provide that only the owners of that unit type contribute to the maintenance of those elements. When this is not possible or practical, the allocation of costs shared by the residential and commercial owners should reflect the relative burden that each places on the building. 8. Utilities: If there are utility costs paid by the owners association, such as water, electricity, or refuse collection, the CC&Rs should address how the cost of shared utilities are to be allocated between residential and commercial owners in light of their level of consumption. 9. Voting: Typically mixed use buildings have more residential than commercial units, and this can give the residential owners the voting power to adopt measures that severely restrict and impact the commercial owners and user. The CC&Rs should protect the commercial units by providing that provisions of the CC&Rs that are critical to commercial owners and renters cannot be amended without the commercial owners’ consent. 10. Insurance: The presence of commercial uses within the building often significantly increases the cost of association insurance. This potential impact on insurance premiums should be recognized in the allocation of insurance costs between the residential and commercial owners. In addition, having businesses on the property creates special risks not present in all-residential condominium projects, such as injury to business customers, and loss of business revenue when a business must close to accommodate building repairs. To avoid a situation where the owners association is sued by a customer of the business, or by the business itself, the business owner should be required to obtain its own insurance for these risks, and to provide proof to the owners association that the insurance is in place. Each residential and commercial owner is entitled to the rightful enjoyment of his/her condominium. Residential owners are entitled to a livable environment. Commercial owners are entitled to operate their business profitably. The natural tension between residential and commercial owners can be minimized when the critical components in a mixed-use project are addressed by carefully drafted CC&Rs. 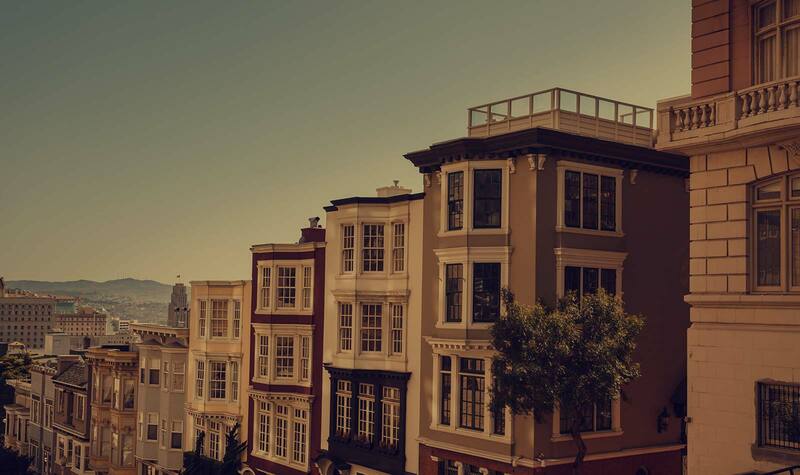 Rosemarie MacGuinness’ law practice is focused on shared ownership of small buildings in San Francisco. She has prepared hundreds of tenancy and common agreements, condominium CC&Rs, and related amendments for 2-4 unit buildings, and advised buyers, seller, Realtors and developers on all aspects of small-building transactions. Rosemarie is also a certified mediator specializing in co-owner disputes including nonpayment, expense allocation, maintenance/alteration, and noise. Andy Sirkin was co-author of 10 editions of The Condominium Bluebook, and his expertise in preparing condominium governing documents is recognized throughout California. Through his 27 year participation in “The Rewrite Program” (a flat fee document replacement service for older condominium and planned development homeowners associations), he has replaced CC&Rs and bylaws for many hundreds of HOAs throughout California. He also frequently prepares governing documents for new construction projects and condominium conversions. SirkinLaw APC has been creating condominium documents, advising condominium owners, and mediating condominium association disputes, for almost 30 years. Our governing documents continue to be the ones other firms emulate, and Realtors, lenders and buyers strongly prefer. This leadership results from constant improvement and innovation that makes our documents easier to read and understand, as well as more efficient and less expensive to enforce.